SISTER STYLE. POP LIP. | Life Looks Perfect. I'm a fan of the bold lip! Ever since I have become obsessed with the past and fashion, the good old red lip seems to have stood the test of time and made its way back onto the catwalk. Designers such as Burberry and Prada on the spring/summer catwalk showcased models with Pop lips, flawless skin (ahum yes I know mines defo not flawless but O well I can give it a try) bare eyes and a striking lip! 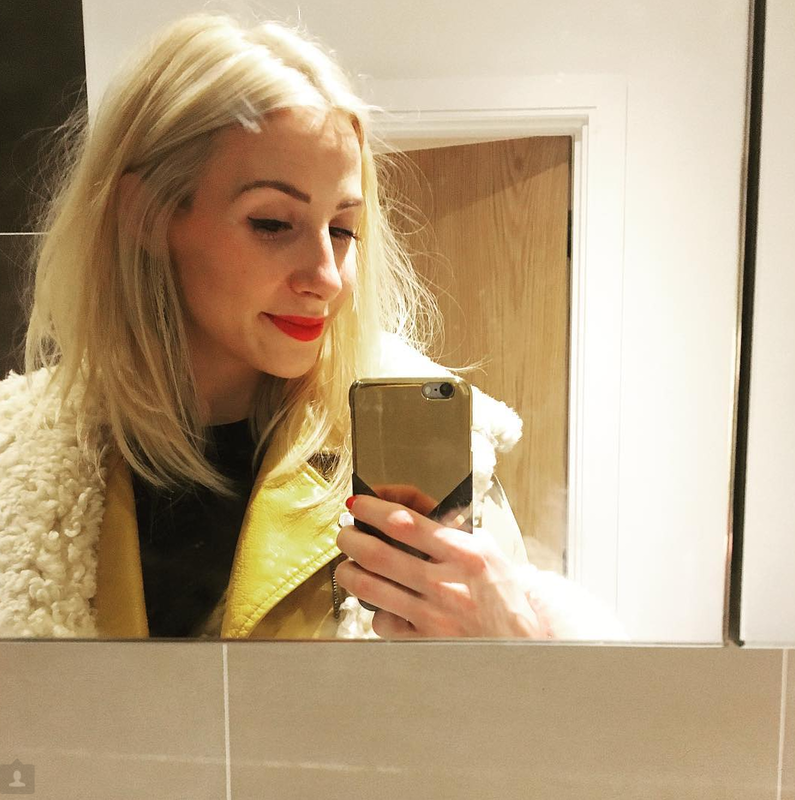 In this post I am wearing one of the Kate Moss Lasting Finishing Matte collection lipsticks from Rimmel, which I must say is not very matte in comparison to my fav lip colour of all time Ruby Woo by Mac but its a lovely shade. 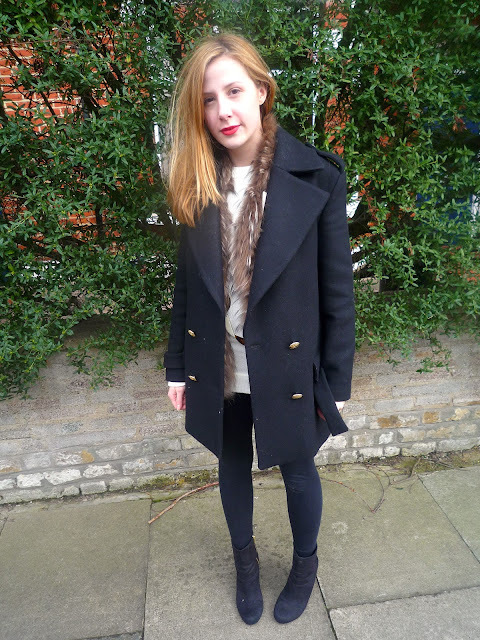 Im wearing just a casual white chunky knit (men's of course) with a fluffy gilet and my new Zara jacket. Paired with some leggings, my daily must have and a casual heel its a great outfit to wear on the move.